Real passion simply cannot be denied. Indeed from as early as 3-years it became vividly clear to everyone around her, that music is Kaydene’s passion. With a smile, the vivacious Kaydene recalled that her love for music and performance began after she first sang at church. As she grew older and realized the wealth of music and songwriting talent she possessed, coupled with her love for the art form, Kaydene decided to take the steps towards pursuing music as a career. Kaydene’s music versatility knows no bounds; spanning across a range of genres. “I have written on many different types of beats and I enjoy the diversity,” she offered; adding that there is no limit to her sources of musical inspiration. “I can get inspired through a thought, a problem in my life, a book, a movie, a bible verse, another song, and the list goes on and on. 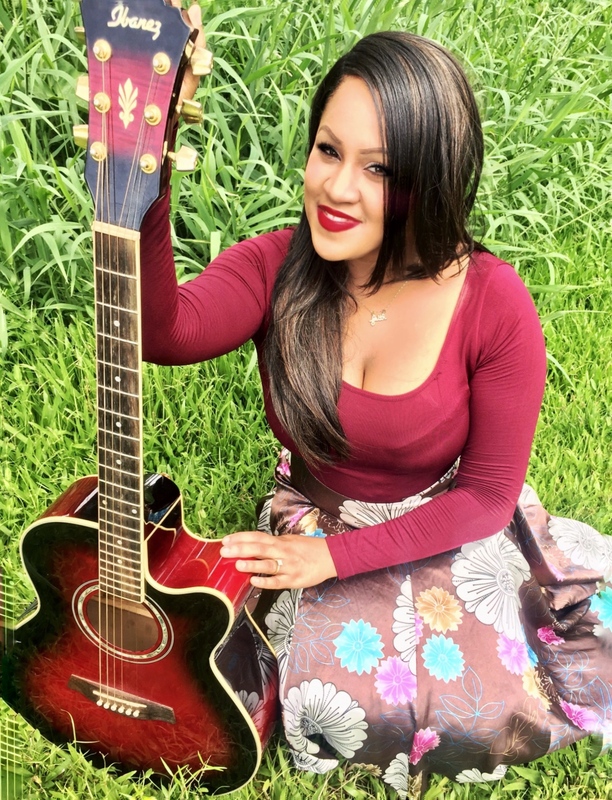 If I feel a writing coming on, I just grab my pen and paper.” Through music Kaydene seeks to share hope, God’s love, joy and happiness, as she firmly believes that a song should leave the listener with happy thoughts, a new perspective, or deeper inspiration. To date, Kaydene considers the fact that her music is played over radio stations in Saint Lucia as well as overseas as one of her greatest accomplished. With a huge bright smile the passionate singer-songwriter says she can’t help but feel happily overwhelmed every time she randomly hears her music over the airwaves. Yet even so, Kaydene notes that her musical journey is not without its share of challenges. She couldn’t help but agree with the pleas of many other local St Lucian artists that garnering a high level of support from the local community can at times seem a battle. Additionally Kaydene noted that because the music industry in her home island is still in the early development phases, it is a struggle to get ground breaking opportunities as artists on the island. Nonetheless Kaydene says she refuses to focus on the negatives. “I focus on the art and not the challenge. I choose to go all in and if I fail, I will know that I tried my best. A few have gone before me and broken the barrier of limitation and so I emphasize on that and make it my strength,” offered Kaydene. And as she continues to focus on the positives while working around the existing challenges, Kaydene is hopeful that in time local artists will be more widely celebrated and receive greater support from the local community and government. Kaydene: I would describe myself as a genuine, passionate, fun and loving person who enjoys exploring and experiencing new things. I am also God-fearing and extremely family oriented. ECCO: Name one thing about yourself that most people won’t know. Kaydene: I am a perfectionist! I am hardly ever satisfied with my projects and I constantly push myself to be better. ECCO: What are your other passions? Kaydene: I have a passion for the youth. I love mentoring and redirecting youth that have gone astray. With Inter School & College Christian Fellowship (ISCCF), I am given the opportunity to sing at many different Secondary Schools over the island and I love the feeling it brings. At church I speak to the young adults and help keep them focused. ECCO: What makes you laugh? Kaydene: Laughing is one of my hobbies. It does not take much to make me laugh. I love the joy and freedom that laughter brings.